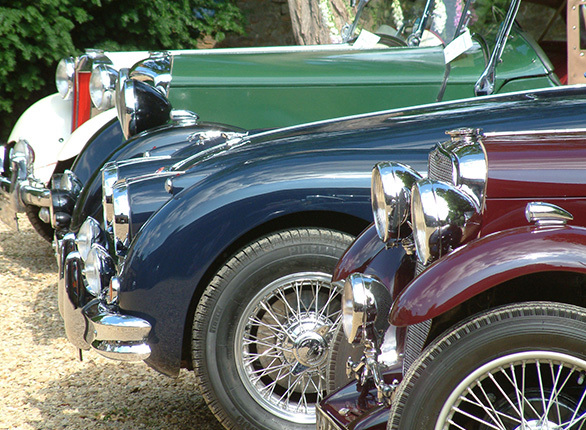 If you have been searching for insurance for your collector cars, your search is over! Don't trust your precious cars to just any insurance policy...cover them with an insurance policy that was specifically designed for collector vehicles. The types of collector cars that we can insure include: Antique/Classic Cars, Classic Trucks, 1980 or Newer Vehicles, Modified Vehicles, Classic Military Vehicles, Collector Trailer, Antique Tractors, Vintage Motorcycles, Vintage Scooters, Vehicles that are being restored or built, and Retired Commercial Vehicles such as fire trucks, buses, dump trucks & more! Each program has specific guidelines that your agent will be happy to explain to you. For example, one guideline is that the collector vehicle can be used for organized meets, exhibitions, club functions, tours and occasional pleasure driving...it can't be a car that is driven daily. Vehicles also need to be store in appropriate storage structures when not in use such as: private garages, barns or rental storage units. Additional requirements vary based on the type of collector insurance you are getting. Call 864-688-0121 to get collector car insurance for your vehicle(s). • 1902 - The first speeding ticket was issued. • In 1895 there were only 4 autos registered in the U.S.
• South African BMW's can have flame-throwers added to prevent car jacking. • In 1927 the first electronic traffic lights were used. Fun Facts from: Automopedia & Yahoo!